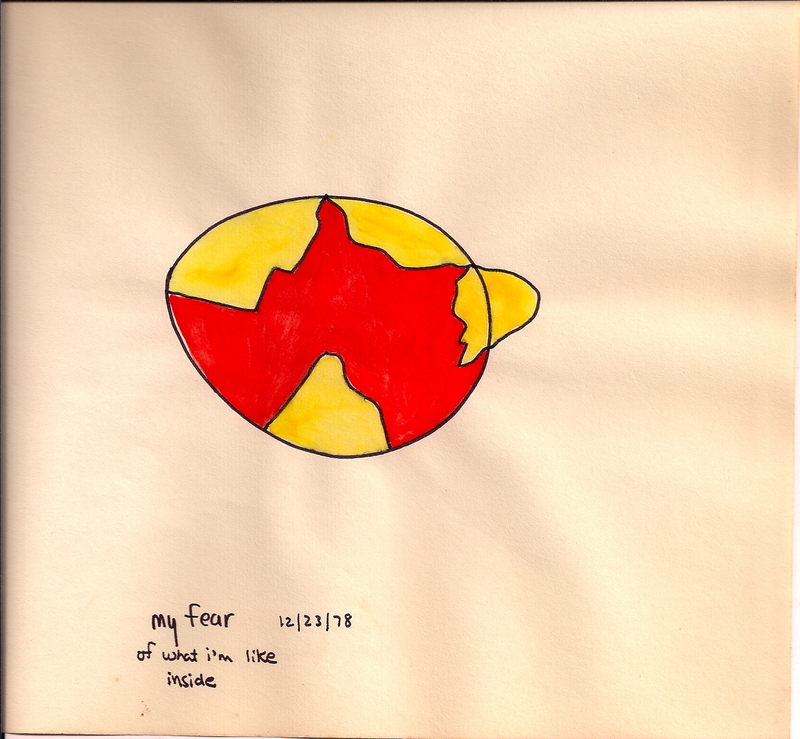 This next in the series is titled “my fear of what i’m like inside” 12/23/78. I’m cracked. I’m runny. A jagged river of scarlet runs through the yolk. Whatever was inside me was terrible, I must have figured, since everyone was so frightened about my feeling anything. What was so bad inside me that was so bad to feel? If you’ve read previous blog posts of mine, it’s the old I’ll die if I cry syndrome. 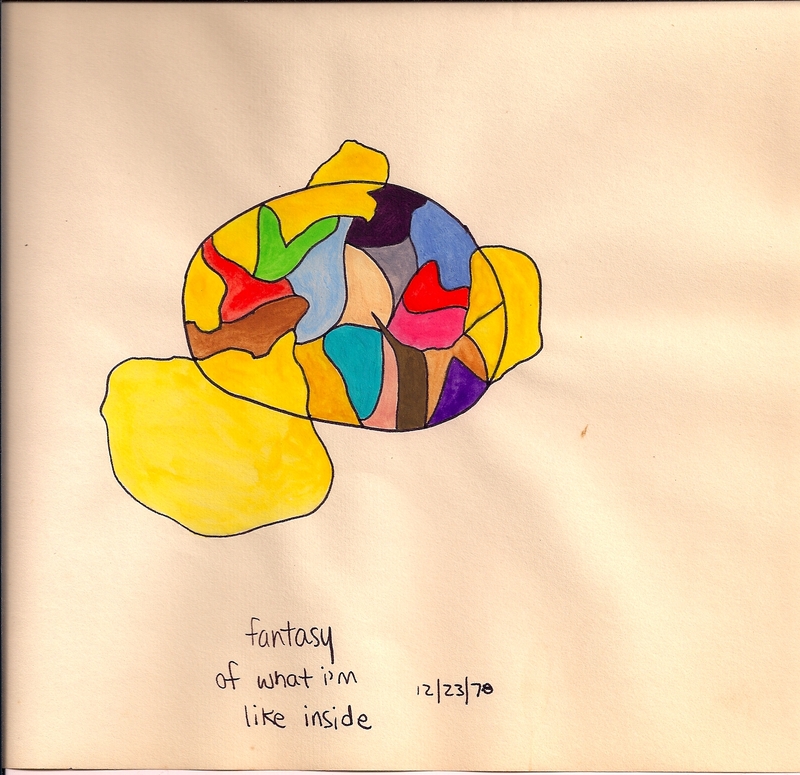 Title: “fantasy of what i’m like inside” 12/23/78. I’m colorful in there, but the colors clash. They are contained, afraid to transgress the lines. Strange that the shell is whole, but I’m a broken egg. Yolk is spilling out. Help! At the time I painted these three, I was in therapy with a wonderful therapist, Lee O. Johnson. With her support, I could begin to venture inside myself and see what was in there. With her, I began to know my authentic self. Wendy, I’d love to see you update this series with a fourth painting. Just as you have described them, I see this trio as a stark and true image of where you were in 1978. 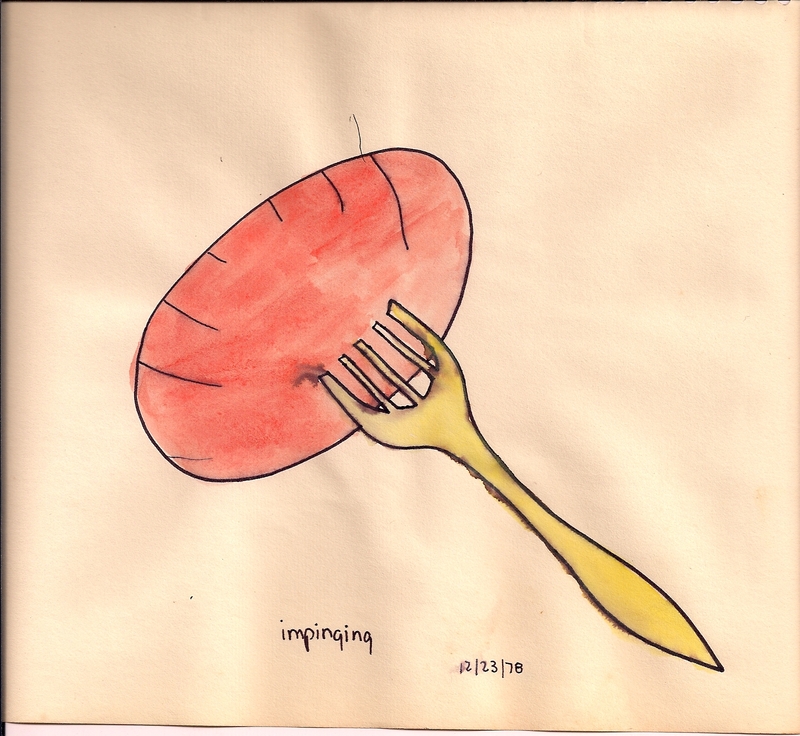 Like Griffin in her recent comment, I have seen many kinds of healing taking place, although your egg will always be a bit scrambled, as is mine, and as we all are. From what your friends and students are saying, the colors may still be clashing inside the shell but they are now radiating out out also in ways that hearten us – and I trust you also. And isn’t it wonderful to be able to explore this?